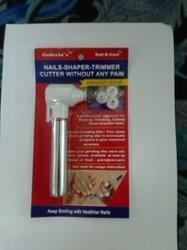 Cut-Trim-Shape your Nails in few seconds. 3. Scrape off polish quickly and strongly from inside to outside. 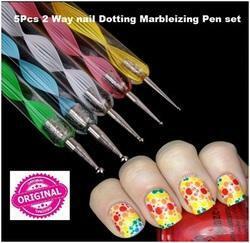 - This is a nail art dotting pen with 2 metallic ends. One end with a larger ball and another end with a smaller ball for various marbling and dotting work. - It can be used for creating polka dot designs with polish or nail pro UV Color Gels. - Can drag the dots into petal shapes when doing finely detailed flowers.